Inside-Outside was a sculpture for Harvard University’s AIDS Awareness week at the Fogg Art Museum in Cambridge. Inside outside suggests a trap or a tornado, a physical representation of vulnerability and permeability, fear and risk. 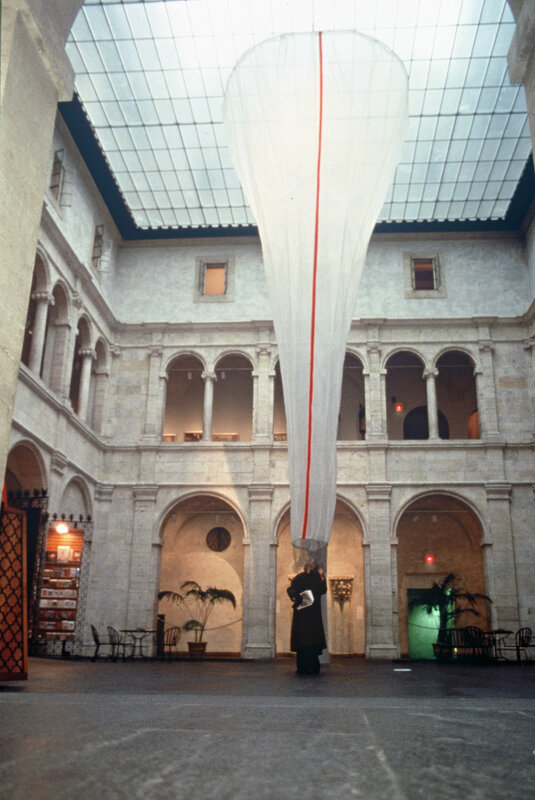 A tall, hollow, layered form created from steel and nylon nets spirals downward from a 44-foot high ceiling to meet the viewer at eye level. Viewers are invited to stick their heads inside the piece.